Radical creativity meets ultimate versatility in the RADICAL MPA. 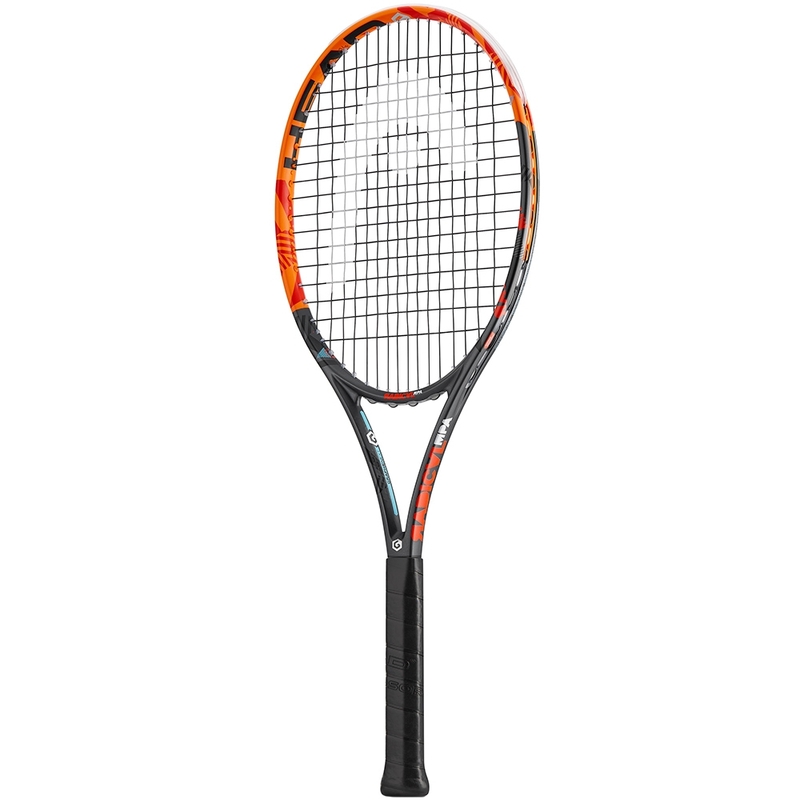 Just like the rest of the series it features the groundbreaking Graphene XT technology, which distributes the weight to where it is needed most for more power and an improved energy transfer. In addition, the MPA with its dynamic and colorful razzle dazzle design comes with the innovative Adaptive String Pattern (ASP), which allows you to exchange the grommet set and choose between a 16/16 and a 16/19 string pattern for ultimate string adaptability. Free delivery available on Head Graphene XT Radical MP A! Order now! Sorry, the Head Graphene XT Radical MP A is now out of stock. Do you own the Head Graphene XT Radical MP A?